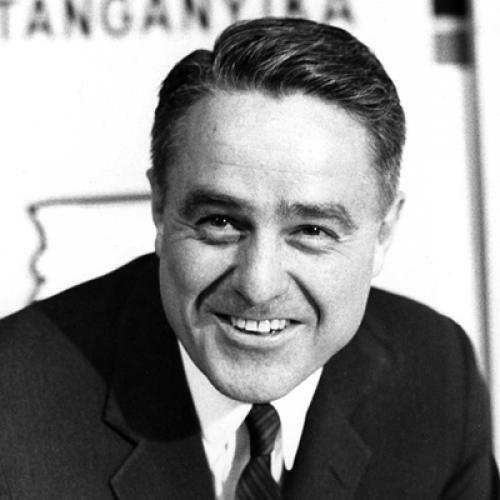 "You Know More About This Than I Do"
Sargent Shriver chose the Farmers Union convention in St. Paul as the stage from which to blow his first bugle in the war against poverty. It seemed a natural selection for a militant visionary. There are few places left to seek the embers of evangelical populism except in the vaults of the Farmers Union. And yet, Shriver's words were unexpectedly prosaic. His prepared speech used incense for no altar except the taxpayer's dollar, incantation for no angel except individual initiative, exoicism for no devil except the boondoggle. Nothing could have been imagined less in key with his audience. Farmers Union members are sometimes tough-minded and sometimes tender- minded; but in neither phase can they be said to regard the public treasury as there for any purpose but to be taken. Near the close, Shriver changed his key enough to reward their patience through his homilies by falling back on the missionary vision he is used to conjuring up for his Peace Corps recruits. He needed nothing fresher than that to warm the Farmers Union; and, what may have been more to his purpose, his preliminaries about fiscal responsibility were all of his re marks that the press was likely to put on the wires. He could touch the Farmers Union with his commitment and still be assured that Harry Byrd would pick up his morning paper and have the comfort of reading as quotations from that absolute heretic, that commander of the war on poverty, litanies to budgetary prudence he had despaired of ever hearing again from a federal official. Sargent Shriver then is a man who, at one and the same moment, manages to remind the dedicated that they can achieve the American vision only by intense personal sacrifice and to assure the indifferent that the American vision is theirs on a payment plan so easy that they will barely feel it. For the last three years, we have grown so used to seeing him bounce about social deserts as though they were Yale reunions that it is hard to think of him as anything but simple; yet there is a subtlety here somewhere that is entirely confounding. The simple-minded exterior is, one suspects, an entirely natural part of the complex. When he is tired, Shriver seems to give way to childish innocence the way other men, tired, give way to whisky or women. He was particularly tired when the Air Force flew him to the Farmers Union and back to Washington last week. The poverty program had been put together in just five weeks and its construction consumed him in arbitrating the appeals of various experts on the subject who were in that intense, voluble and occasionally cantankerous condition to be expected from men to whom no one in authority has ever listened before. But in the end Shriver settled for a modest program neatly in tandem with the established wisdom of the federal departments. He was so agreeable and free from imperialistic greed that no one seems to have noticed that his real achievement in those few weeks had been to lift his agency from a vaguely-projected $500 million to a precisely-itemized $962 million budget. He turned to the inside pages; there was a picture of Lyndon Johnson on television with his hands held out to the poor in spirit. Shriver studied it. "Don't you think" - he ran his finger over the angle of the head -"Don't you see something of Roosevelt there?" One saw only a man showing his cuffs in an entirely sincere demonstration that no card was concealed anywhere, and felt achingly one’s own incapacity, from mere failure of innocence and illusion, ever to improve the lot of man. Shriver had to go the next day to present the poverty program to the Labor and Education Committee of the House of Representatives. He had carried Wilson McCarthy, his legislative liaison, along to St. Paul to discuss strategy. McCarthy reported that the Republicans had offered no noticeable reaction to the President’s poverty message; he wondered if it might not turn out a friendly session. Now Shriver had managed all day never to utter a public word about the war on poverty without making it sound like the most significant exercise in budget-cutting since the Coolidge Administration. The adult in him had entirely disarmed the Republicans in advance; the child in him longed to think them bristling with weapons and passionate for his flesh. Shriver happens to be a lobbyist who goes before Otto Passman and gets not just almost as much as he wants but almost as much as he asks for the Peace Corps. He is the only administrator of a foreign-aid program who can handle Passman, and a man of those parts could hardly be afraid of the House Labor Committee. Of course, when you read the record of Shriver’s prodigies with Passman, it is possible to dismiss them as the product of mere calculated humility: Passman bullies and Shriver palliates and emerges at the end, bowed but with purse intact. The impression is that Passman will give Shriver whatever he wants so long as Shriver will let Passman punch him around. The consequent critical judgment on Shriver’s performance is that it is effective but hardly inspiring. It is a surprise, after that, to hear that Shriver is the only one of the foreign-aid administrators for whose muscle Passman has genuine respect. For Shriver sits politely, and then at night he will call up some power figure from Passman’s district and the next morning Passman is unexpectedly slapped on the back of the head. Public men often develop a key sentence that shows up again and again rather like a nervous tic and which, being equally unconscious, may be taken as fundamental to their view of affairs. Nelson Rockefeller, as an instance, cannot talk more than 15 minutes without saying that there is no problem which does not have a solution. Sargent Shriver’s tic sentence runs something like, “I’m sure you know more about this subject than I do, so you probably know already that such-and-such hundreds of thousands of farm families have an income of such-and-such hundreds of dollars a year.” That inflection of self-deprecation is habitual enough in Shriver to be worth accepting as entirely genuine; yet it lodges side by side with something else startlingly cocksure. Shriver is the kind of man who proudly serves on his local Board of Education. He has never been any other sort of man. His sermons on the value of local initiative and small, intimate projects for social change have a special tactical value in engagements with Republicans. But their true significance is that they define his outlook, which is unique in our national politics. Shriver may be the first man ever seriously mentioned for Vice President of the United States whose temperament never distracts him from what are essentially problems of local government. This, in fact, is the weakness most often suggested by critics who have tried to assay his national political potential; they cannot imagine him engaging a cosmic issue. One assumes that Shriver would like to be Vice President; Robert Kennedy must be the only Democrat generally indifferent to this prospect for himself. The office, being empty, can only be filled by personal illusions. Vice President Johnson hurled himself into the space program; caught in a rut, he told himself he was reaching for the stars. Vice President Nixon went visiting heads of state; it was a way to play at being the head of a state. Shirver’s illusion that he knows every one of the Peace Corps’ 1,000 volunteers is the local government mind grasping at the image of a community where everyone knows everyone else. He does not, one suspects, have the gift of tribal intimacy which his brother-in-law, the Attorney-General, has; he depends instead, on a community sense. When he talks about poverty, his language runs at once to images of small compass: "America is a club and the poor can't get into the club." The local government mind, when it is fortunate enough to have a manageable community, draws its satisfaction from maintaining the public order and seeing children grow up and go off on their own. It can never be a general success; that is not its aspiration. The achievement of Shriver's Peace Corps which so startles Washington is really only the sum of a number of small individual successes and the avoidance of general failure. Mr. Johnson was fortunate to come upon Shriver, because Shriver’s mind is more comfortable with small ventures than vast concepts and will therefore ask no more of Congress than Congress is ready to give. The President can get the credit and save the cash too. The good Lord has found him a director for his poverty program who is by nature so sure that small particular successes are an absolute good as to be safe from that frustration at general failure which sends bureaucrats to war with Congress. The next day, Shriver carried the program to the great swamp of the House Education and Labor Committee over which Adam Powell casts his phosphorescent gleam. There was nothing for the Republicans to engage; their only doubt and fear seemed to be that Sargent Shriver might not live forever. The Southerners are rather anxious to do his bidding too; the program would seem to have so solid a Democratic vote that the Administration has no real need for substantial, Republican support. There developed the suspicion that Mr. Johnson would rather like to see the Republicans line up against the poor and take the consequences next November. Powell seemed to be working unusually hard to insult the minority side, in the hope that mere pique might drive them into that opposition to which ideological difference was too feeble to draw them. But every time Powell would do his party duty and insult a Republican, Shriver would do his social duty and treat the affronted enemy with particular grace and courtesy. What chance there was of partisan rancor in Shriver’s presence vanished when Powell gave the floor to Congressman William H. Ayres of Ohio, the second-ranking Republican. Ayres reminded us again of what a complicated piece of good Sargent Shriver really is. He sits there gentle as a dove, and who could believe that this was the only man in the whole congregation Joseph P. Kennedy trusted to collect his rents?